It has been tested on XP / Vista & Win7, but we specifically disclaim any liability and we do not promise to have any particular enhancements available on any specific date. 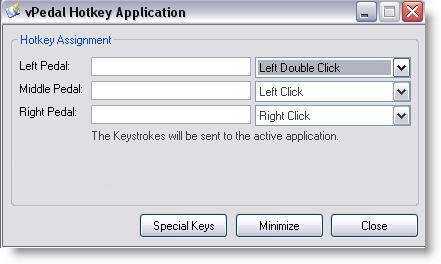 Please only use the “Hotkey” function or the “Mouse Click” function when the programme is enabled. 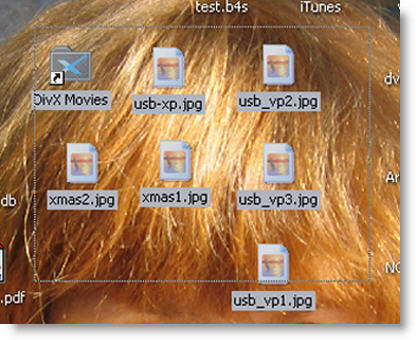 Having settings in both sides of the application could cause unexpected results when you are operating your pc. Inside “vp_hotkey_setup3.zip” there is an installer program which will guide you thru the installation process. It can also send extended characters which can be used in the left hand side of the HotKey Assignments. The Special Keys listing is opened by clicking on the Special Keys button. To enter the “spacebar” setting into the hotkey application you just click with your mouse into one of the dialog boxes then just press the space bar (once ) > you should see the cursor move to the right one space BUT nothing will display.